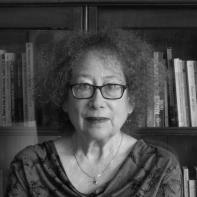 Sherril Jaffe is the author of six books of fiction, including Scars Make Your Body More Interesting & Other Stories, The Unexamined Wife, and House Tours. A new novel, Expiration Date, is forthcoming in 2011. Her short stories have appeared in journals such is Epoch, Zyzzyva, and Alaska Quarterly Review. She has also published two memoirs Ground Rules and, in collaboration with her late husband, Alan Lew, One God Clapping, a San Francisco Chronicle best seller. A recipient of The Josephine Miles Award for Literary Excellence, a PEN Award, she is professor of creative writing at Sonoma State University. I sit up in my bed, too fraught with worry to sleep, trying to make sense out of the red numerals displayed on the digital clock before me. Will this night never end? In a week I'll learn if this mass growing in my belly is cancer. The waiting is killing me, the anxiety almost impossible to bear. And yet, in some ways, it's almost a relief. Because of this anxiety, I have stopped feeling what I usually feel, what I have felt all my life, for as far back as I can remember—depression! What, I'm sure you are asking, is an “Oedipal Consultant”? As far as I know, I am the only one. My training is in psychology. Like many, I went into psychology because I was looking to understand my own inner workings, but the traditional explanations and theories never quite satisfied me, and I eventually developed my own schemata, a kind of neo-Freudianism, focused on what I took to be an overlooked yet obvious aspect of the Oedipus Complex. That first day in that first psychology class when the professor brought up the Oedipus Complex is emblazoned in my memory. “Well?” he asked, taking off his glasses and looking out at us. “Does anybody know what it is?” A few hands went up. While most of the class had heard of the theory, very few really knew what it was. Very few knew that it was a theory based on the myth of Oedipus. Oedipus hears a prophecy that he is going to murder his father and marry his mother, and in fear of it being fulfilled, runs away from the people he believes are his parents. At a crossroads he does indeed murder his real father, Laius; he answers the riddle of the sphinx and comes to Thebes, and, without knowing it, marries his mother, who is the widowed queen. Freud deduced that at a certain stage in early childhood we all desire to kill one parent so we can marry the other. When the other students in my elementary psychology class heard this they all protested that they had never had such feelings. Even I felt that this theory must be wrong, because if it were right, then I would, I believed, somehow sense it. “Yes,” the professor said, “it's counter-intuitive, but Freud's position is that these feelings are so unacceptable that the child invariably represses them.” As he said this, I remembered my father lying on my childhood bed in his blue pajamas. He was comforting me; I had had a nightmare, and I had summoned him with my cries. Was that something I should feel guilty about? Did I really want to kill my mother? How could that be? No, I realized, it was more likely that she would want to kill me. After all, I reasoned, it never would have occurred to Oedipus to murder his father and marry his mother if they hadn't exposed him on a mountaintop leaving him for dead, first. Oedipus's parents tried to kill him. Then I saw how depressing that discovery must have been to old Oedipus. Because, of course, he doesn't remember that they did this. He was too little. He had repressed all memory of it. As I mulled this I began to wonder if the origin of my own depression similarly had to do with a repressed infantile fantasy that my parents wanted to murder me. It was a fantasy; it wasn't true, of course, but fantasy is the only reality an infant knows. And so I began to develop my theory. My theory wasn't original, of course. I wasn't the only person who had thought of it, but I am the only person I know who eventually made a living with it. I realized I could help people who suffered from depression by helping them deal with their repressed belief that their parents want to kill them. And so my whole future life was determined on that first morning in Psych 101. And it was in that same elementary psychology class that I met my best friend, Myrna Herman. She is nothing like me; she is my polar opposite—all emotion, whereas I am all rationality—but maybe that's why we get along so well. We complement each other. And it was Myrna who later modeled for me how to make my innate talents and obsessions marketable. She went into police work. She's an Emotional Detective in the employ of the San Francisco police force. She helps solve crimes by feeling the emotions of the perpetrators. She called me this morning; she wants to consult on a case, and I promised her I'd meet her for coffee on Wednesday. I haven't told her about the lump in my belly, or the upcoming surgery. She would get too emotional. I wouldn't be able to take it. But having her case to think about will distract me from all of that. It will keep my mind occupied. I need to keep occupied until the surgery. I wish I could just lose myself in sports, the way Charlie, my ex-husband, could. Yes, I'm divorced. I've been divorced for about five years now, from about the time my father died. I'm not sure how it happened, how my relationship with Charlie fell apart. It's very depressing. I think I still love him. My mother, who was married to my father for forty years—until he died—sees me as a big failure because of this divorce. And yet, she never liked Charlie. She was always disparaging him for being fat. Well, he wasn't really that fat, but after her drumming it into my head how gross and blubbery he was, he began to look repulsive to me, and that was the beginning of the end for us. Sometimes I think the real reason I divorced him was so that I could be a failure in my mother's eyes, so she wouldn't see me as competition—someone who was doing better than she was, because if she didn't see me as competition, than maybe she wouldn't feel the urge to kill me. This is how, I believe, the Oedipus Complex is always forming our lives and making our choices for us. We feel instinctively that our parents want to kill us and devise strategies to protect ourselves from them. I don't have sports, but I do have my work, so I go to my office down on Union Street as usual as soon as I am dressed. My office is in an old Victorian. I have tall ceilings, several large plants in the windows, and a white noise machine outside the door. I am working on a new case. My clients, the Schmidts, are the loving parents of a depressed teenage girl. Amy does not want to go on medication, and I am not pushing them to try to convince her to do so. The fact is, although when she is in the pit of her depression she feels she has always been depressed and has never felt any other way, this isn't really true. The truth is that her moods swing, and the trick for her survival will be to figure out how to jolt herself when she is in the low place so her mood can swing the other way. I once did an experiment on myself to see if I could make my own mood swing. I was in the depths of despair and ready to try anything. I read about this method in an obscure psychology journal. Following the description of the therapy in the article, I poured warm water into one of my ears. To my surprise, the glass which had been half empty immediately became half full. What I mean is, I immediately felt better. But now I realize I don't really understand the analogy of the glass. I know half-full means you are optimistic, but to me it is a reminder that half is already gone, which is disheartening. But maybe I only see it like that because of my present mood, my throbbing anxious mind which can only believe that everything I once saw as hopeful is an illusion. Nonetheless, after I poured warm water into my ear that time my mood was immediately lifted out of that desperately low place I had found myself in. After this experiment, I thought I had depression licked, I thought I had found a universal panacea. But the next time I tried it, I must have poured the warm water into the wrong ear, because I was cast into the deepest depression of my life. I sat on my couch almost without moving for the next several months. The next time I tried it after that, I was careful to pour the water into the other ear, but the ears must have switched their functions, because after that I spent another five months unable to get up from my couch. Needless to say, I never tried this experiment again. Still, I continued to believe in the idea that if the depressed person can find the right mechanism to shift their mood, that they can be lifted from their depression—without medication and even without therapy. And, specifically, I believed that the mechanism, in order to work, would have to refute the client's unconscious irrational fear that her parents wanted to kill her. So I set up a little play for the parents of the depressed teenager. First I hire teenage actors; then I set about gathering the props—a card table, some chairs, and some posters and brochures about a man named Reverend Larue. I tell the parents to call me the next time their daughter leaves the house in a state of dire depression—no matter what time it is, day or night. Setting all this up keeps me very busy, and I almost forget that something which might be trying to kill me is gestating in my belly, something I might have to kill—with radiation and chemo—before it kills me. When everything is arranged I have a moment, a terrible moment, like a moment of waking up and not knowing where you are or what day it is but with a terrible foreboding, a terrible moment when I remember that a hideous cancer very possibly is devouring everything inside me, but then the minute hand of the clock over my desk moves to the hour, and I realize, with relief, that it is time for my next client. My next client is a rabbi. “I'm not here because I'm depressed,” Rabbi Strauss says, leaning forward on the other side of my desk. “Right,” I say, although I don't believe him. He looks apologetic, as if he feels guilty about wasting my time. He is usually the one who is giving the advice. He is everybody's father figure. He is not used to being on the other side of the desk. I have a sudden urge to tell him about the terrible mass in my belly. How afraid I am. And to tell him about Charlie. How I am still in love with him and don't know why I divorced him. But that wouldn't be professional. That wouldn't be fair to him. He has come to me for counseling. I can't burden him with my problems. “I wonder if it's because I go to my exercise class every day,” my mother says. “Your sister looks very young for her age, too, don't you think?” my mother says. “My sister?” I ask. “I guess she does.” I want to say, “What about me? Are you trying to imply that I don't look young for my age? Are you trying to imply that in comparison with you and my sister, I look old and ugly? Why should you want to hurt me like this? Do you hate me? Do you wish I would die? Well, soon maybe you're going to get your wish!” I want to say all this, but, of course, I don't. My mother would only deny everything and tell me my problem is I let my thoughts run away with themselves. That it is all in my head. And the other reason I don't say this is because I don't want to tell my mother about the mass in my belly. Maybe I do look old, anyway. If I am about to die I should look old. I can't tell my mother about the mass in my belly because I don't want to worry her. No, that isn't it. I am afraid if I tell her she'll somehow use it against me. <p.“Good night, Mom,” I say. The next day I have some other new clients—the Greens. They also have a depressed teenager. Two years ago, Billy was arrested for smoking marijuana in front of his high school. His parents panicked. They had him kidnapped in the middle of the night and dragged away, kicking and screaming, to a “therapeutic” boarding school in Utah, where they kept him chained to the bed. He lived like that for two years. Now he's in college, but he won't speak to his parents. He is not doing well in school. He is drunk a lot of the time, and has already been arrested for driving under the influence. He sits in front of his TV all day and doesn't go to class. “What can we do?” his parents, the Greens, ask me. They leave crying. But what can I do? I can't lie to them, even though it depresses me to tell them what I think. However, I do have some good practical advice for the Lewises, my next clients, more parents of a depressed teenager, Jill. They have been told by their last therapist that they must allow her to experience the consequences of her actions, and now I suggest to them that this might not be the best approach with her. I instruct them to call me, no matter what time, day or night, the next time she is in trouble, and reluctantly, they agree to do so. After they leave, I sit at my desk, staring into space, trying not to think about you-know-what. But of course, I do, anyway. And what I eventually think is that I am going to have to tell my mother about the surgery. Because if I don't, she might get angry with me. And I am more afraid of my mother being angry with me than I am of dying of cancer. And I think about Charlie. I haven't talked with him since January, when I ran into him at the post office. He asked me to have dinner with him, and against my better judgment, I did. I couldn't resist. We had a couple of glasses of wine; one thing led to another. I awoke in his apartment the next day, realizing I still love him. But how could he ever forgive me for the way I hurt him? He called me for several weeks after that night, but I never picked up the phone. Finally, he stopped trying. And now it is September. As I sit at my desk, I think about calling Charlie, to tell him goodbye, in case I am dying. To tell him I still love him, that I never stopped loving him. I think about doing this, but then I think how this wouldn't be a very good idea. Finally, I push myself away from my desk, gather my things, and go home. At home, I sit at my kitchen table, trying to get up the courage to pick up the phone to call my mother. The phone rings. It's her. “But you don't look it,” I say. “And your sister never got cancer,” my mother says. “She's a lot better than me,” I say. I'm still sitting at the table when the phone rings again. It's Myrna. She wants to remind me about our date. I meet her the next day, my day off, at Boudin Bakery, on Tenth. We both get coffee, and go sit out at one of the green metal tables on the sidewalk. The sky is blue and the sun is warm as if everything were right with the world. She has gotten a cinnamon role, but I haven't. I am trying to watch my weight, though it's futile, because the mass in my belly has made me look quite fat. “I feel there's something you want to tell me,” she says. “No there isn't. Why would you think that? Tell me about your case,” I say, to get her off the subject. I don't want her to make me tell her my secret. The trees down the street are just beginning to turn. “I see what you mean,” Myrna says. “Are you going to eat this?” I ask her. Most of her cinnamon role is still sitting on her plate. So I finish her cinnamon role for her. What difference does it make if I get fat? I might be dying. Yes, I would lose the respect of my mother, who is thin, but then again, if I were fatter than she, it would give her another reason to feel superior to me, and she might not see the need to compete with me, to have me die. “Okay, call me when she comes back,” I say. After she hangs up I call the teenagers I have hired. “What's going on?” Myrna asks. “We'll just wait and see,” I say. In a little while Tammy Schmidt phones back. “Did you set that whole thing up?” Myrna asks. The Schmidts call me again that night, when I am lying alone in my bed, trying to sleep, trying not to think about Charlie, about what is in my belly. They rescued their daughter and then they all went out to dinner. Their daughter is flying high. Her depression has completely vanished. She has never been so happy. And the Schmidts know now, they say, that nothing really matters except this love the three of them share. And they thank me. This is very gratifying for me to hear. And I wish, as I lie alone in my bed, that my mother loved me the way the Schmidts love Amy. And I wish that I had a child so I could love it the way the Schmidts love Amy. I have always been afraid to have a child—that has been one of the things Charlie and I argued about. I have been afraid that the string I am hanging onto which connects me to the past would doom me as a mother, would lead me to hurt any child I might have, even though that is the last thing I would want to do. The Lewises call me the next night around midnight. But I am not asleep. I am laying out the things I will take with me to the hospital and putting my house in order. They want to tell me that they have just been awakened by a call from their daughter. Jill is in the pit of despair. She's convinced that she's cursed. Her car has just been towed. She claims she just parked a little ways into someone's driveway. The Lewises were about to tell her she was going to have to figure out how to get her car back on her own; that she was going to have to suffer the consequences of her actions. And then they had remembered that they were to call me the next time she was in trouble. They call me back again just as I am drifting off to sleep. They want to thank me. Their daughter's mood, which has been very low for a long time, has suddenly shifted. She is suddenly joyous. “Of course she is,” I explain. “Because she knows her parents love her, and not just if she's good, if she doesn't mess up. Now you can go to sleep. Be happy,” I say. But I can't sleep, and I can't feel happy. The next morning I go to the hospital. They put me into a gown and put ugly socks on my feet. They have me lie down on a gurney in a curtained-off room, and they tell me the anesthesiologist will be in to begin the anesthesia in a moment. I will feel a slight sting when they put in the IV. Then I will feel like I've had a couple of my favorite cocktails. After a while, another person comes through the curtain. To my surprise, it is Rabbi Strauss. “No,” he says. “It won't hurt a bit. I've got a pretty good record with these.” He puts his hand on my head and begins to chant something in Hebrew, his eyes closed. His hand is warm, and as I listen to the strange words a memory of my mother looking down at me and smiling, a memory from my childhood that must have been lodged somewhere deep in the recesses of my heart, floats up to the surface. Tears leak from my eyes. “Is there something you'd like to talk about?” the rabbi asks. “I wish my mother was here,” I say, to my surprise. “She is here,” the rabbi says. Then the curtains part, and my mother is standing over me. She takes my hand and looks down at me, lovingly. “You're not?” I ask. My mood shifts, and all my feelings of depression evaporate into thin air. “Then why did you let me break up with Charlie?” I ask her. I don't know what's gotten into me. I have never been so bold with her before. I guess I feel I no longer have anything to lose. I see that her love for me doesn't depend on my only being good and never messing up. “It's never too late,” she says, and she squeezes my hand. Just then I feel something wet running down my leg. Am I peeing myself? “Myrna?” I say. “You're here, too?” Myrna has poked her head through the curtain. At that moment an excruciating pain rips through me. Is this it, then? Am I dying? “What do you mean?” I ask, as the terrible pain rips through me again. Then Charlie is somehow in the room, stroking my hair. “Charlie!” I say. “Charlie, can you ever forgive me?” His belly is pushing against his blue shirt, and I remember how comforted and protected his bulk has always made me feel. “There's nothing to forgive,” he says. The pains are coming more frequently now. “Charlie, please don't leave me!” I cry. The pain is almost unbearable now, so terrible that I almost want to kill the person who is causing it, the little person who, I now realize, has been growing inside me for the past nine months. If the string, the thin string which I cling to, the string that connects me through time to the whole history of humanity, weren't nourishing me, I might let it go now and float away into the darkness. But the string doesn't end with me, I realize. The cord is unwinding inside my belly, and now it is going from a bag of placenta into my baby's belly. I look up, and the Greens are in the room, standing over me. They are weeping. They smile, and dab at their eyes with a tissue. There are lights shining behind their heads, like the lights in an operating room. I reach up to help them untie the string, and we all watch as it floats away.